I only have a grand total of 3 bulbs. Two are Aeon, one older, one newer, and a Hank. All are RGBWW bulbs and they seem to work identically. The oldest Aeon is more than a year old and was originally running on ST. They mostly have the same function in my house... White for normal use, colors for "announcing something." They've worked for me every day. I'm currently using the native Hank RGBW driver for all of them.. consistency you know. I used Hue, Cree, Go Control, Sengled and Yeelight. Hue, zigbee, I suggest using the hub so no issues with any other devices on the mesh, a little pricey. Go Control are z wave, they been working fine, a little pricey for just white bulbs. Sengled are color, zigbee, they work great, even for motion lighting, good price but I got them very cheap for black friday deal. Yeelight are color, WIFI, I'm impressed with them, they work really well with HE, very cheap at Amazon ($15 when available), I have 5 of them in my Dining Room Lamp, with the app One to Many from Cobra and with a wall dimmer I control them, I have a rule to reset the color to daylight when I turn on them with the wall dimmer. I'm sure I can do this with the Sengled too, just price and connection difference. I use a Hue system, but have started to implement IKEA bulbs with great success. Even their floalt panel. The IKEA bulbs also pair directly to HE. Keep them on Hue. These try to repeat, and while some say they're having good success with them as repeaters, I'm skeptical about their long term stability in that role. I had a bad experience with a Trådfri bulb that unexpectedly tried to take on that role when I was experimenting with it connected to HE for another reason. but took half my Zigbee devices offline when it dropped the ball. Well, I have seen some issues with them, until I moved my Hue hub closer to the bulbs, so you may be on to something. I am just starting with HE, migrating from Vera, and my majority of devices is on Z-Wave. I have only added a few Zigbee, among them 2 bulbs. So far so good. You could have paired those Cree bulbs to your Hue Bridge and you wouldn't have had the repeater issue. +1 for Andy's recommendation to use the XBee. 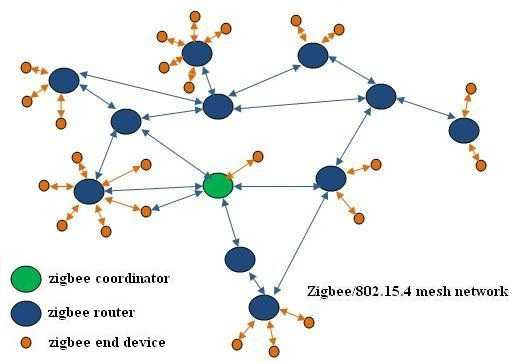 Maps your Zibee network and doubles as a very strong repeater that is compatible with everything Zigbee including Xiaomi devices. IKEA Trådri outlet is also a compatible Xiaomi repeater by the way. Just need a few of them, at they're not powerful like the XBee is. Anyway XBee is how I know the Trådfri bulb caused the issue and that the Trådfri outlets are good at repeating (besides the evidence that none of my Xiaomi devices have dropped since adding them). You should be forewarned that Zigbee network issues can crop up from Zigbee Smart Bulbs of any make when paired directly to HE except for Sengled, which do not repeat at all. If you put the Zigbee bulbs on a separate Zigbee network (e.g. the Hub bridge), then you can avoid the issue and still have really fast and local control of the bulbs. Suppose I want to put my Crees on my Hue Bridge, which is already integrated with HE. Do I remove them from HE, pair them to Hue Bridge, and then remove and re-integrate the Hue Bridge to HE? Skip the last part. No need to remove the integration. Just do a bulb discovery once you get them added to the Hue Bridge. Easy as pie. I haven't had any issues with my Crees, but might as well take a load off HE where possible. Well, easy I can’t say. I have a hard time trying to do the factory reset on the Cree bulbs, so I use a Lutron Connected Bulb Remote to do it. Apparently you can do it with a Hue Dimmer too, or at least it’s said to work with the Hue bulbs, so I assume the Cree might also respond. I have one Hue dimmer, but have never tried it to reset bulbs because I have the Lutron Connected Bulb Remotes. I've got the reset procedure down pat. Takes some practice. Didn't help that there's some misinformation out there. I've got the reset procedure down pat. Would you please share your Cree reset procedure? I have one bulb which is very stubborn and refuses to reset. I am actually wondering if it has failed at this point. I’d like to try your procedure to see if there is any hope for this bulb. It will only dim for a second, signaling that it has been factory reset. It helps to have a physical switch or pullchain. Otherwise you can sort of achieve it by unscrewing/rescrewing, but that can be tricky. I did, but then I had one bulb not reaching the hub, apparently after pairing them with hue, each bulb must reach the hub directly, so I ended selling the Crees and the hue system, I was very frustrated. Hmm, that may be an issue for me. My 4 Crees are in the basement and garage serving as sort of a mini-mesh to help get them back to the hub. As mentioned in the thread below, that's incorrect. Hue creates its own ZLL mesh, and bulbs can therefore reach the hub by going through other bulbs. I am no expert, but I believe when paired to a Hue Bridge, these bulbs use ZLL and properly route/repeat ZLL commands. When paired directly to Hubitat, they have to use ZHA, and thus they are asked to route/repeat for non-lighting devices like motion, temperature, water, switches and dimmers, door/window, etc... That is where they don't too well. If someone knows differently, please correct me as I'd hate to spread misinformation. I went ahead and moved all 7 of my Cree bulbs to the Hue Bridge. Here's to more stability! I wonder if the 10-limit rule still applies if they're on the Hue Bridge and not routing ZHA messages. This technique worked to recover my 1 troublesome Cree bulb. Thank you! It is now safely back in the box of unused devices, awaiting a rainy day when it will come in handy once again. I wonder if the 10-limit rule still applies if they're on the Hue Bridge and not routing ZHA messages. What's the 10-limit rule? I'm not familiar.